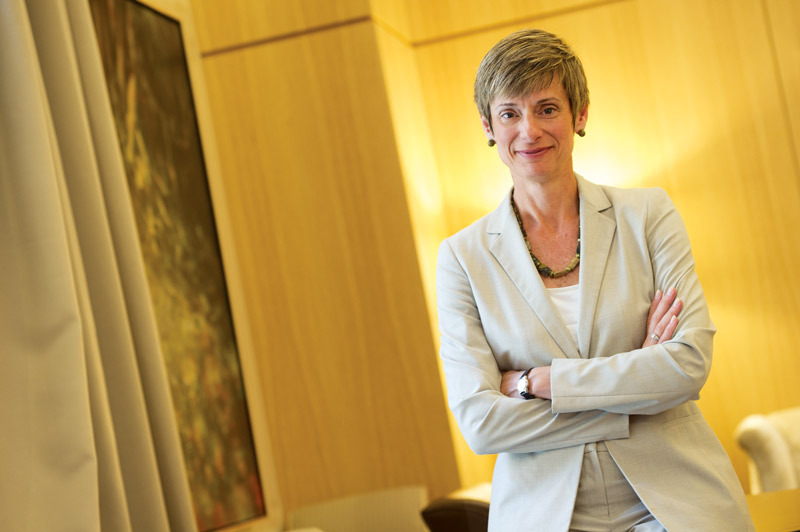 Former USC Provost Elizabeth Garrett of Manhattan, New York, died on March 6. Born on June 30, 1963, in Oklahoma City, she earned a bachelor’s degree in history from the University of Oklahoma and earned a law degree from the University of Virginia School of Law in 1988. After graduating, she was a clerk for Justice Thurgood Marshall of the U.S. Supreme Court and served as a professor at the University of Chicago Law School. She was appointed to a tax reform panel by former President George W. Bush in 2005. From 2009 to 2013, she was a commissioner on the California Fair Practice Political Commission, a political oversight agency. She was the first female provost at USC, serving from 2010 to 2014. She left USC to become president of Cornell University. During her eight months at Cornell, she was involved in university life, working to improve housing for graduate students and support freedom of speech. She is survived by her husband, Andrei Marmor, parents Robert and Jane Garrett and sister Laura Gruntmeir.